Lawyers for Boston Marathon bombing suspect Dzhokhar Tsarnaev on Monday made a second bid to move his trial outside Massachusetts, arguing that "emotionally charged" media coverage and the widespread impact of the attacks have made it impossible for him to get a fair trial in the state. U.S. District Judge George O'Toole Jr. rejected Tsarnaev's first request in September to move the trial, ruling that Tsarnaev's lawyers had failed to show that extensive pretrial media coverage of the bombings had prejudiced the jury pool to the point that an impartial jury could not be chosen in Boston. But Tsarnaev's lawyers are making another push to move the trial. In a court filing Monday, they argued that continuing pretrial publicity and media leaks have led to the "inescapable conclusion" that "great local prejudice" will prevent a fair trial by an impartial jury. Three people were killed and more than 260 were injured when two bombs exploded near the marathon finish line on April 15, 2013. Tsarnaev's defense team focused on the broad impact of the bombings on marathon runners, spectators, victims and their friends and families, doctors and nurses who treated the injured, and children who were traumatized by the attacks. "The nature and scope of victimization here, coupled with the pretrial publicity compel a change of venue," Tsarnaev's lawyers wrote in their change of venue motion. The defense asked the judge to hold a hearing on their request and to determine where the trial should be held. Tsarnaev's lawyers previously said the trial should be moved to Washington, D.C.
A spokeswoman for federal prosecutors declined to comment and said they will file a written response in court. 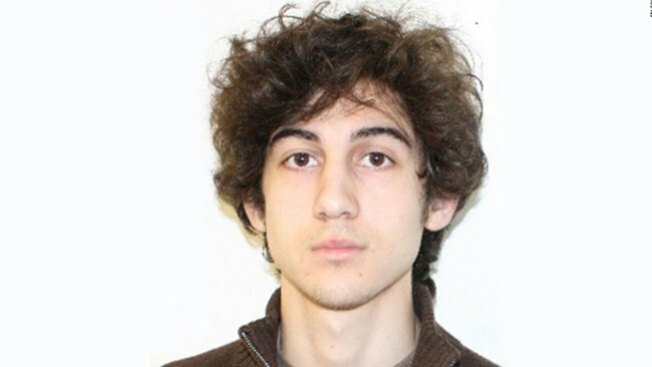 Jury selection in Tsarnaev's trial is scheduled to begin Jan. 5. He faces the possibility of the death penalty if convicted. Prosecutors say Tsarnaev and his older brother, Tamerlan, planted and detonated two pressure-cooker bombs. Tamerlan died following a firefight with police several days after the bombings. Dzhokhar was captured later that day, wounded and hiding in a boat parked in a backyard in Watertown, a Boston suburb. Tsarnaev's lawyers say pretrial coverage of the case has increased since they made their first request to move trial, in part because of coverage of the convictions of three of Tsarnaev's friends who were accused of removing evidence from his dorm room or lying to authorities investigating the bombing. Motions to move trials are rarely granted. But Tsarnaev's lawyers said the pretrial media coverage in the marathon bombing case is similar to the coverage in the case of Oklahoma City bomber Timothy McVeigh, whose trial was moved to Denver. "Here, as in McVeigh, the strong emotional and community response evidenced in the pretrial publicity demonstrates that potential jurors from the Eastern Division of the District of Massachusetts can only be presumed to feel a personal stake in the outcome. As in McVeigh, a change of venue is required to provide Mr. Tsarnaev with a fair trial by an impartial jury," Tsarnaev's lawyers wrote.